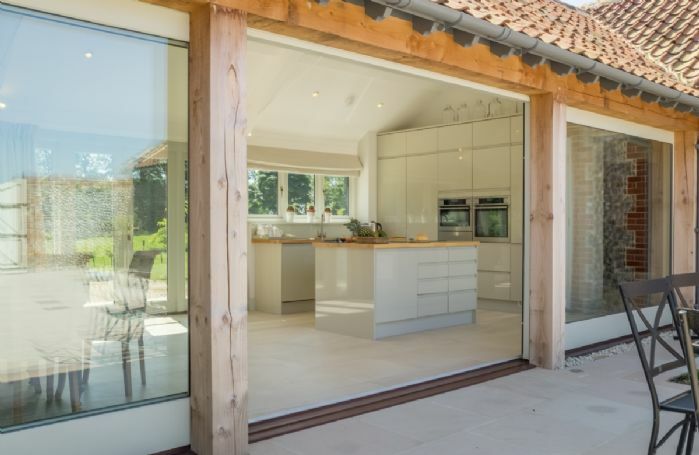 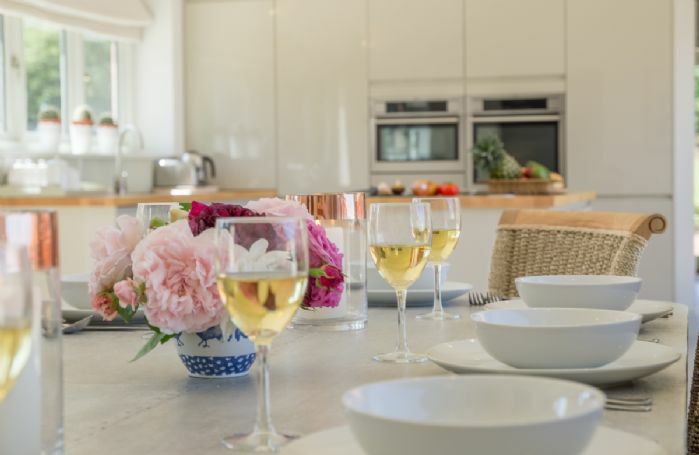 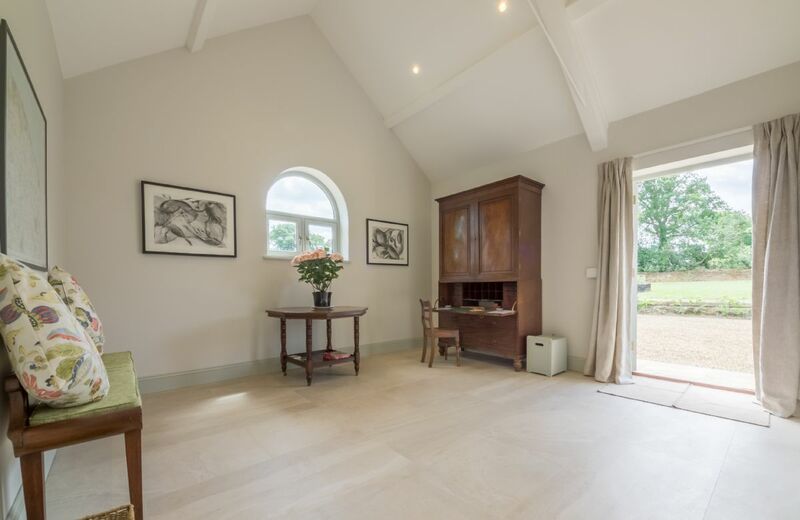 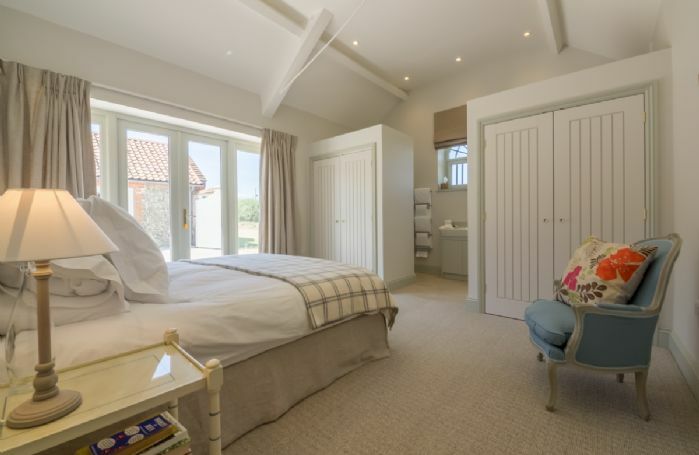 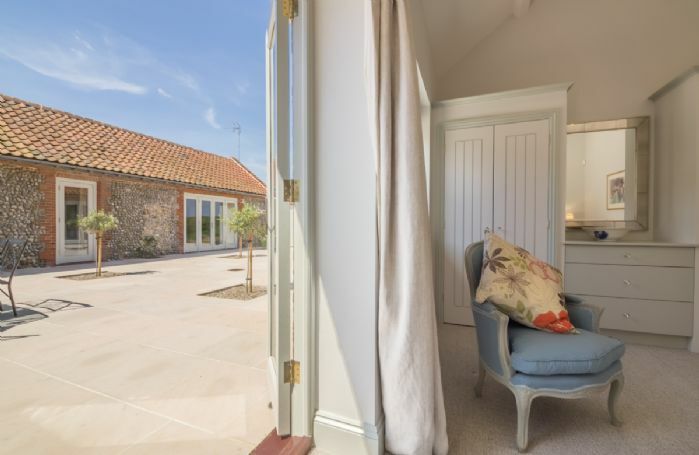 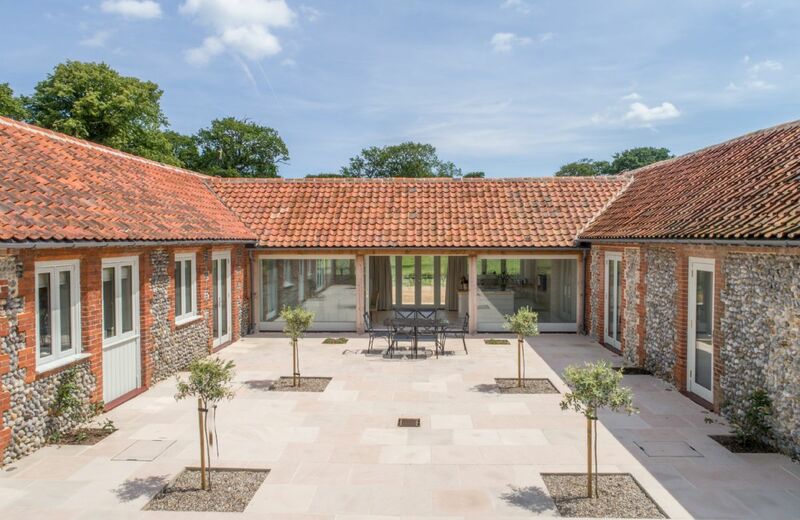 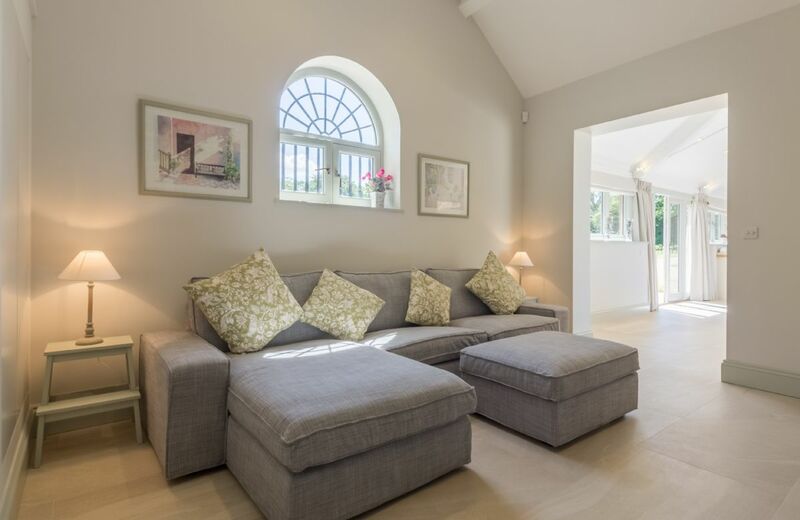 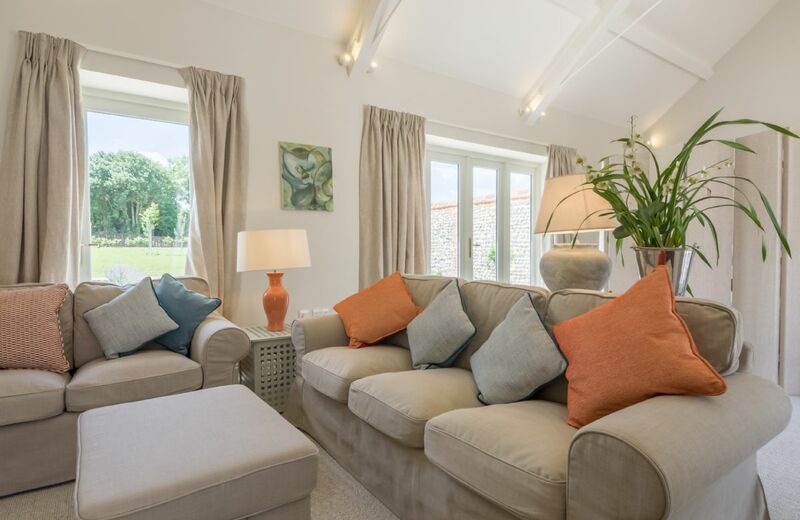 Tucked away on the edge of the pretty village of Northrepps, this beautiful conversion (highly commended for a Conservation & Design Award) is set on the Paston Way and enjoys wonderful open countryside views from every aspect. 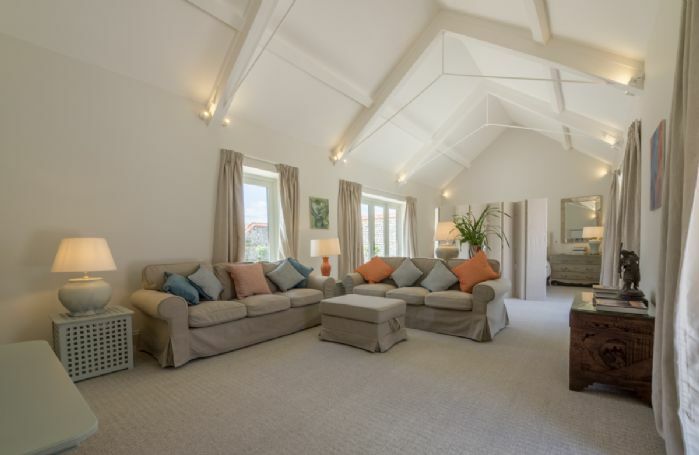 The one level living space is light and airy with full length windows and french doors in all rooms, opening onto a large central enclosed courtyard. One 'wing' has two Super King bedrooms (one can be made up as twin beds), and two bathrooms, one of which is en-suite. 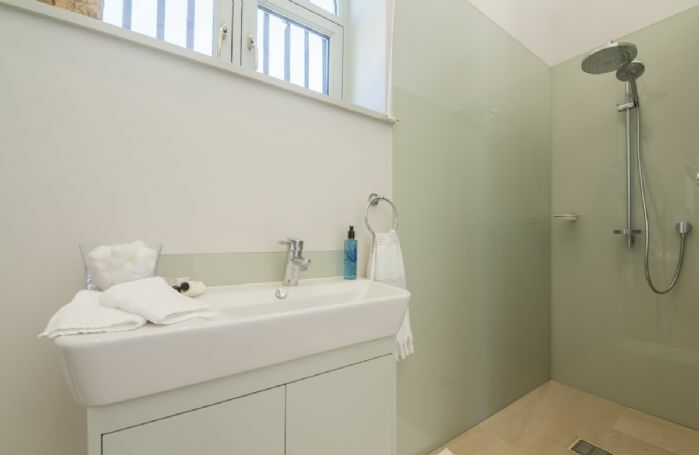 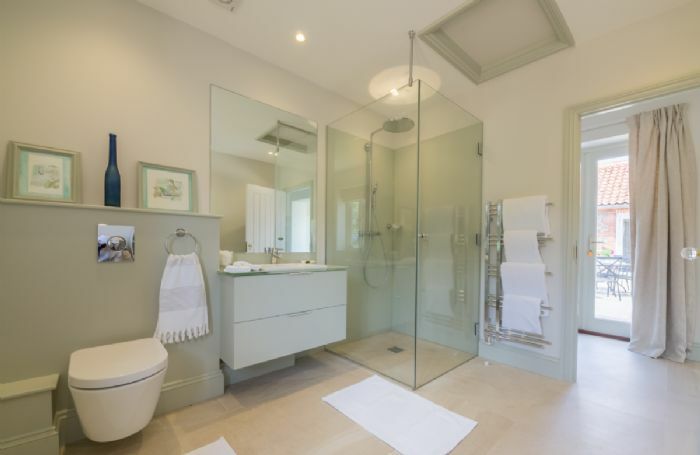 In the 'wing' on the opposite side of the central inner courtyard is a further bathroom and the main sitting room, an extremely spacious room which has a dividing screen, concealing the Super King bedroom at the far end of the room. 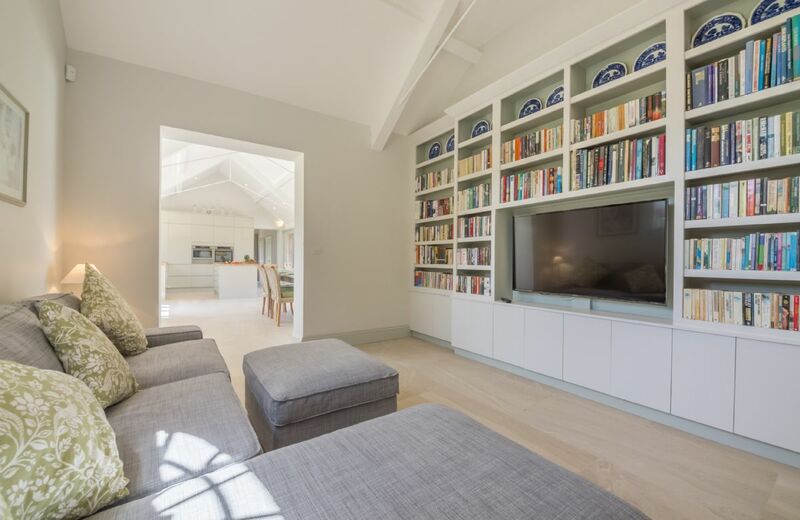 An entrance hallway, large kitchen dining room, and cosy snug/TV room links the two side wings. 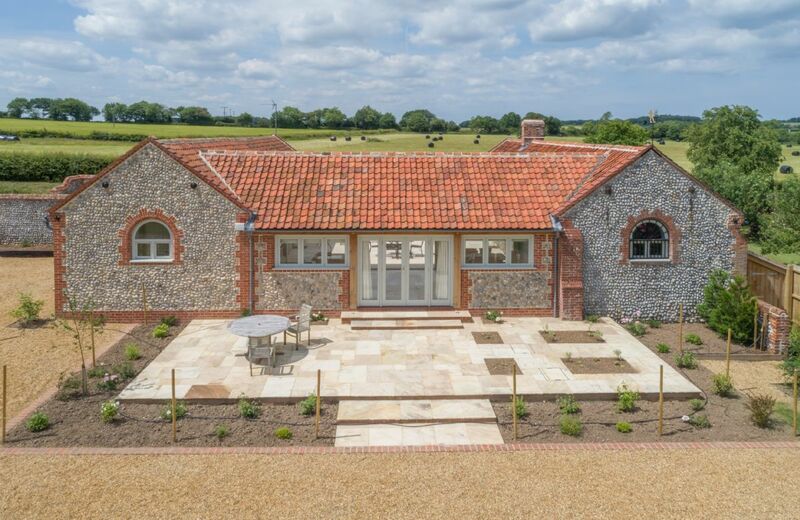 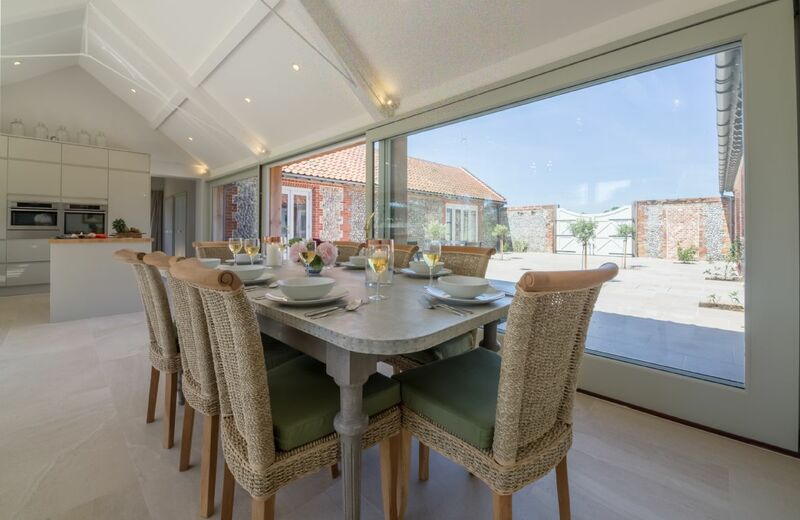 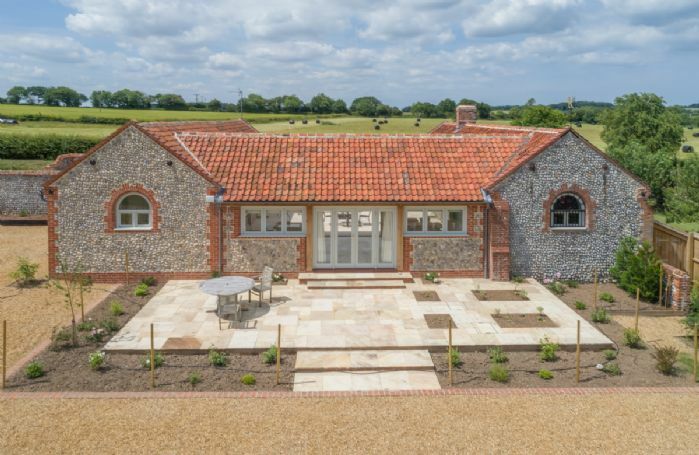 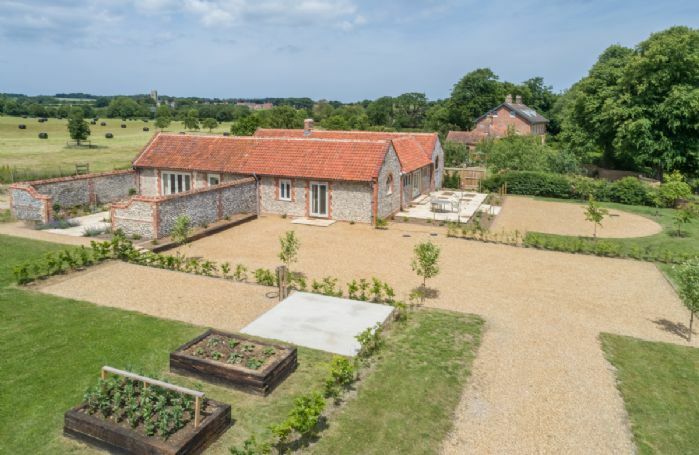 This beautiful conversion of former stables is a very special holiday retreat for those who enjoy the finer things in life. 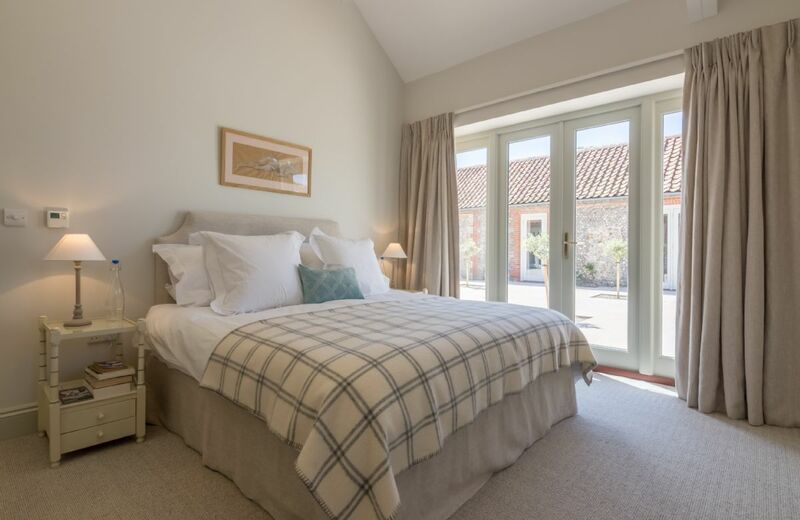 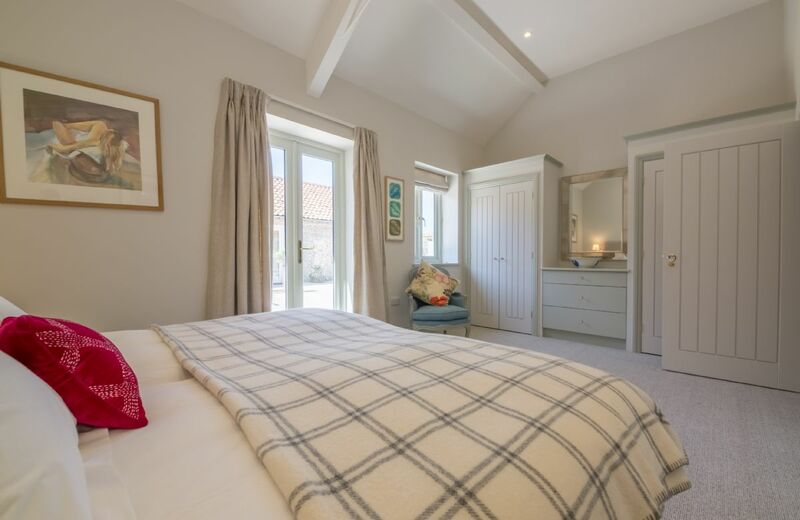 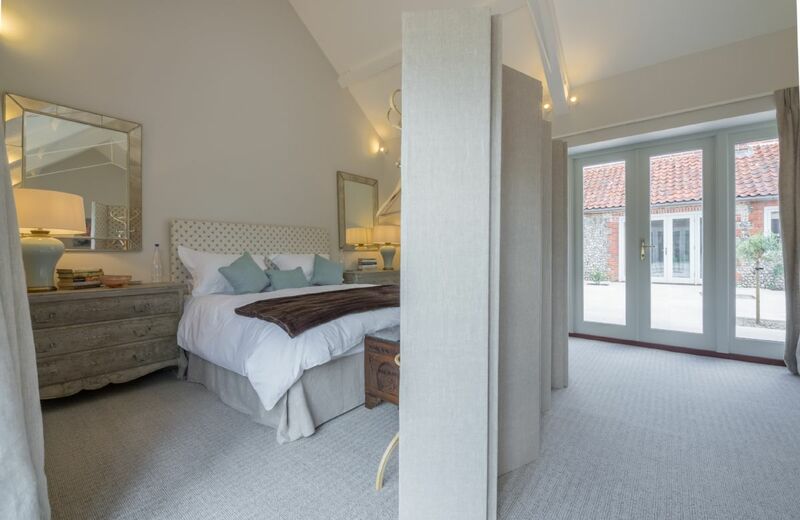 The Stable Yard is perfectly suited to couples, friends and older families who are looking for a peaceful, relaxing and very special place to stay at any time of the year. The coast at Overstrand, just two miles away, can easily be reached on foot across the lanes and fields. From here you can link up with the North Norfolk coastal path, walk to Cromer and enjoy some of the best fish and chips in the area and freshly caught Cromer crabs. 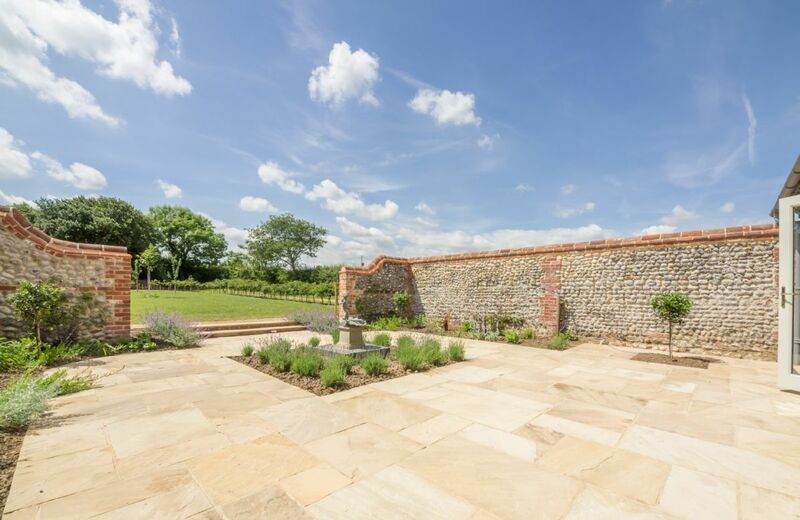 Access to the gardens for watering, via an outdoor system, would be required at this property. 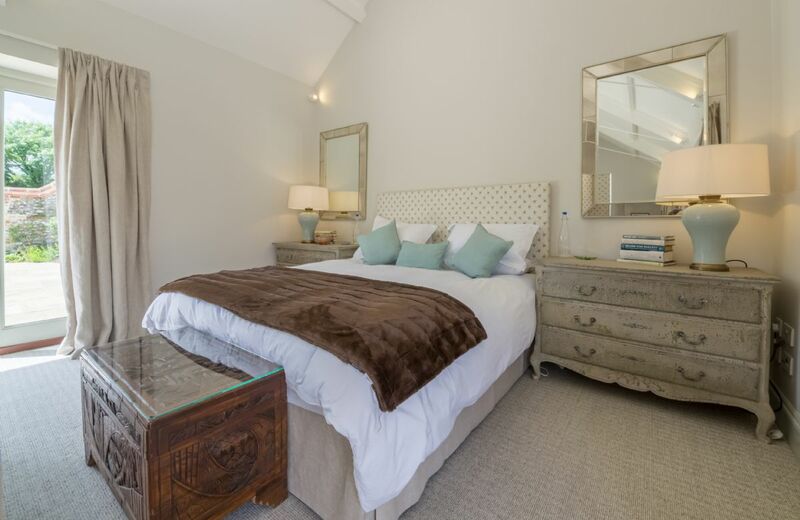 Three Super King double beds (one of which can be configured as two singles) and three bathrooms. 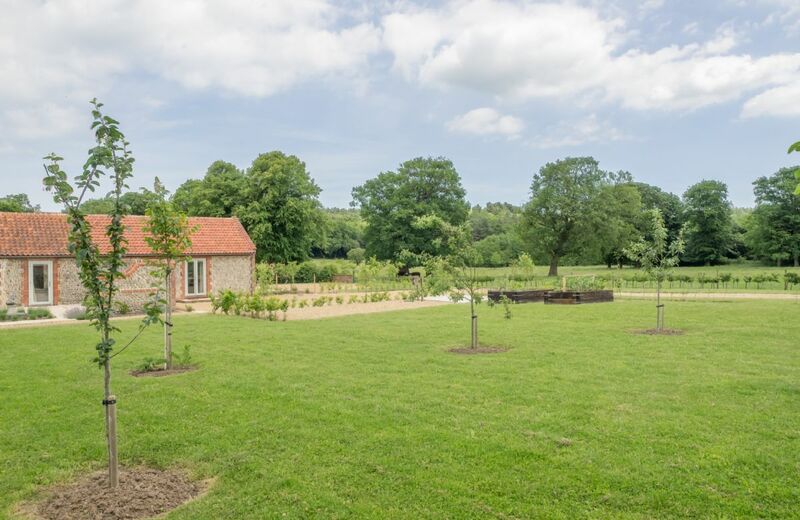 Large garden offers wonderful open views across park and farmland (ball games to be kept to the orchard only). 30 minutes walking distance to the beach. Two further courtyards offer a choice of seating areas. 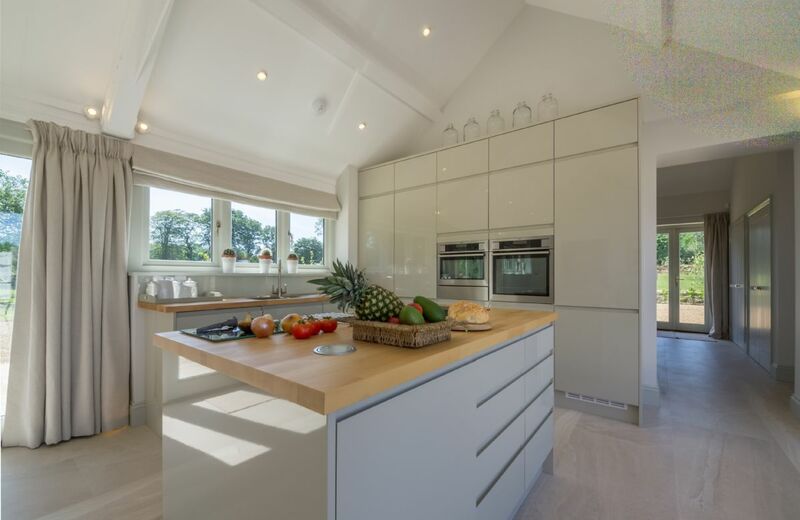 Integrated oven with induction hob, combi-microwave, dishwasher, large fridge and separate freezer. 42” Smart TV in the sitting room and 55" Smart TV in the snug/TV room, both with Freeview. 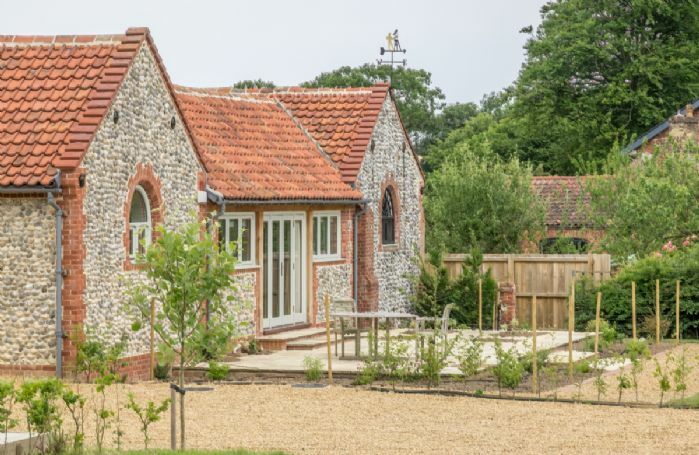 Northrepps is a five minute drive from the beautiful sandy beach at Overstrand where you can surf, paddle and build sandcastles! Follow the Norfolk Coastal Path and visit some of North Norfolk’s best beaches including Cromer, Sheringham, Mundesley and Sea Palling. 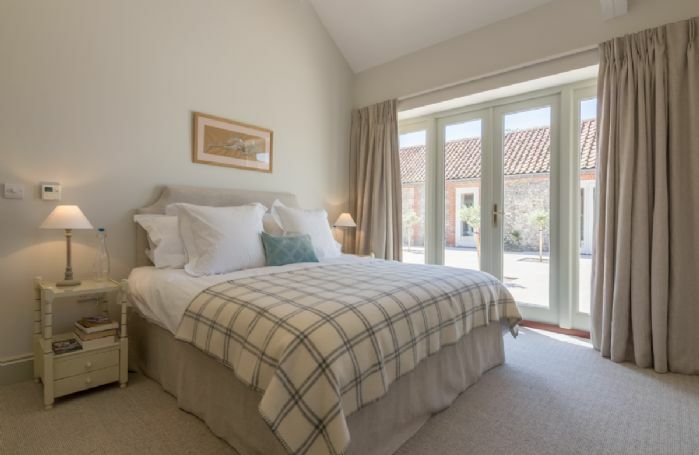 The Vernon Arms in the neighbouring village of Southrepps is a popular spot serving great food, and The Gunton Arms at Thorpe Market, with its eclectic art collection, is a foodie's heaven. 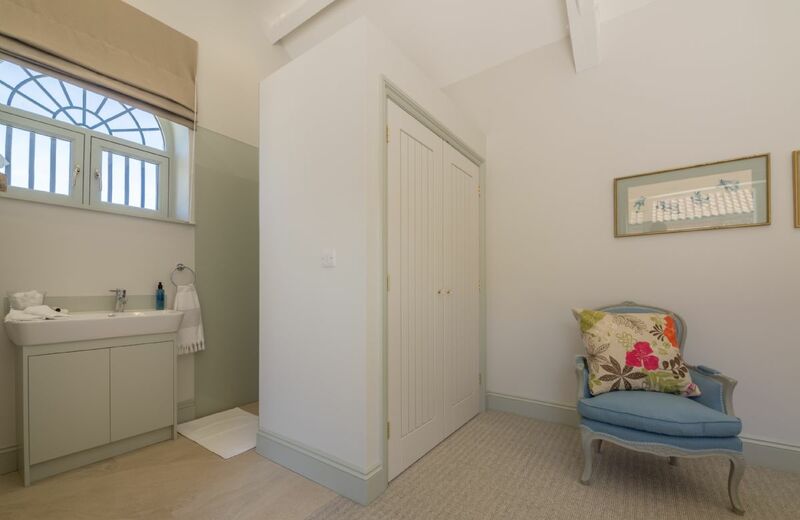 Visit the famous Grade II listed Victorian Cromer Pier and discover the Cromer Pier Show at the Pavilion Theatre. 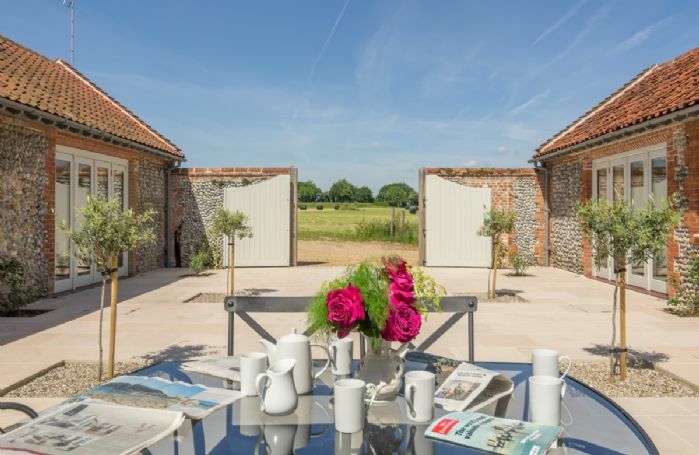 The National Trust's Sheringham Park and Felbrigg House are within easy reach and a little further afield is Blickling Hall.